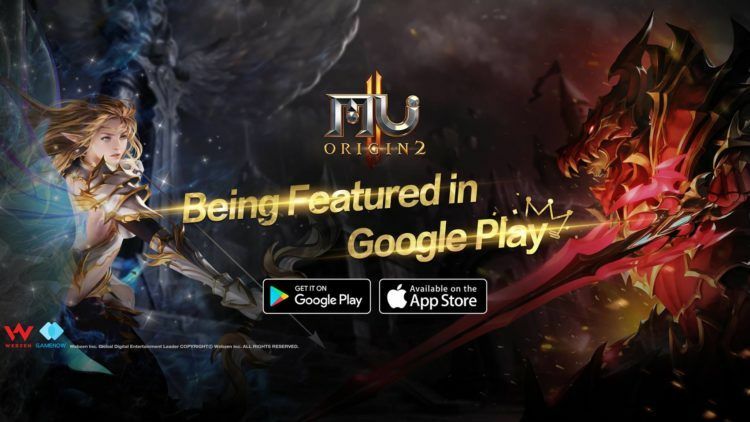 If you are not a big MMO player and have no idea what Asians are really capable of, then MU Origin 2 on PC is going to come as a delightful shocker of sorts. The game is revolutionary, inspiring and exactly the kind of entertainment that you need. While everything about it may be automated, the action is truly out of this world. Honestly, you will find yourself drooling over everything that the game has to offer. The game has a handful of menu, currencies, and mechanics that are all at your disposal and should be enjoyed by you. This action RPG can be enjoyed in ways more than one. Picking a character is one of the most interesting parts of the game. There are different archetypes and others who can smash monsters are well as finish guests in the smartest possible ways. When playing MU Origin 2 on PC, you will realize that gameplay is truly familiar, especially if you have played on MMO before you may feel that a lot of things are repetitive but in the same token, the core of the game is truly unique. Granted, there are a few actions that you may have to repeat from time to time but for the most part, you will have to include in experiences that are totally different. Developed by Tianma, this game has the greatest elements of an MMORPG. Everything from the 3d graphics to the battle experience is truly one of a kind. Basses like the death king and places like the immortal print forest are what makes the games truly exciting. You will never fall short of fun and entertainment here. When it comes to the features, the MU Origin 2 on PC comes with the greatest PC experiences. The attacks are devastating in a good way and the PVP arena is welcoming for any challenges. Events like the Golden Forces Spawns, Colosseum, World Bosses and more, truly make the game special. While MU Origin gives its players many advantages, you have to spend a lot of money to get to the top. You have to be willing to spend more than a thousand dollars to get ahead. The game has three currencies; bound Zen, gem and Zen. You can use the Zen currency to trade through the auction. On the other hand, the bound Zen is only acquired through guests and can be used for buying in-game items. Finally, the gem comes in handy when you disassemble your armor and weapons before selling them. You can come across this badge at different stages of the game. Ensure that you buy them because they will automatically give your character a boost when you need it most. • Strive to earn the star essence. This is earned through guests. It is important because it enables you to unlock zodiac signs. Every sign will reward you. To begin you have to Download and Install Bluestacks. If that is not your first choice for an emulator, you can use Andyroid or Ipadian. For your next step, you have to log in to your Google Play account. If you do not have just register a new one. It is easy and fast. Go to the search box in Bluestacks and type “MU ORIGIN 2” without the quotes, of course. Then simply click “Install” button next to the game and wait for the download to complete. That is it! You can now enjoy your freshly installed copy of “MU ORIGIN 2” on your favorite PC! © 2019 - Apps Charger. All Rights Reserved.